Had a couple questions that pertain to my latest purchase! Below are some pictures of my R32 gtr wondow mouldings. Some are in great conditions but others have some sort of oxidization occuring, i think that different peices of the mouldings are different materials. Has anyone got any tips on how to get rid of and then treat these peices? Other than the fading they are in great condition and i don't really want to by a new set for the whole car, espically when the ones on the front window cost around $500 alone. 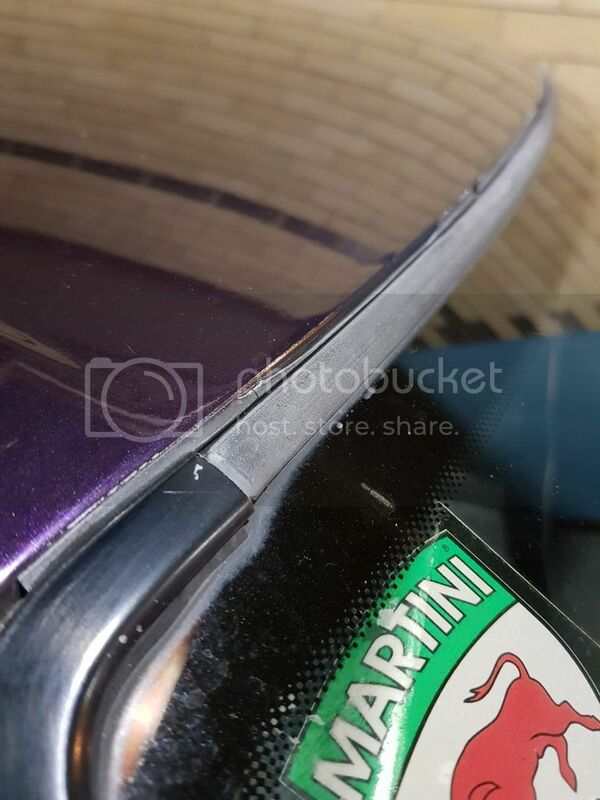 My second question is when polishing headlights to get rid of the yellowing effect, what products are useful that provide a UV resistsnt coating and also stick to plastic headlights? I once tried a ceramic coating as an experiment however they yellowed back up within a week or 2. Utube dallas paint correction and follow his direction for headligh restoration. After sanding he uses Optimum Opti-Lens. This is the best product IMO, bar clear coating the lenses your self. Another product to use is Glassy Lite, you can get it from an Australian distributor at good price. Give the above a try..
For your window mouldings you need to establish if the are painted metal, plastic coated metal, or something else. Don't know if the Skyline would run a plastic coating but if so that is what has degraded and you would need to replace. If no coating then use a light polish by hand and they may clean up. 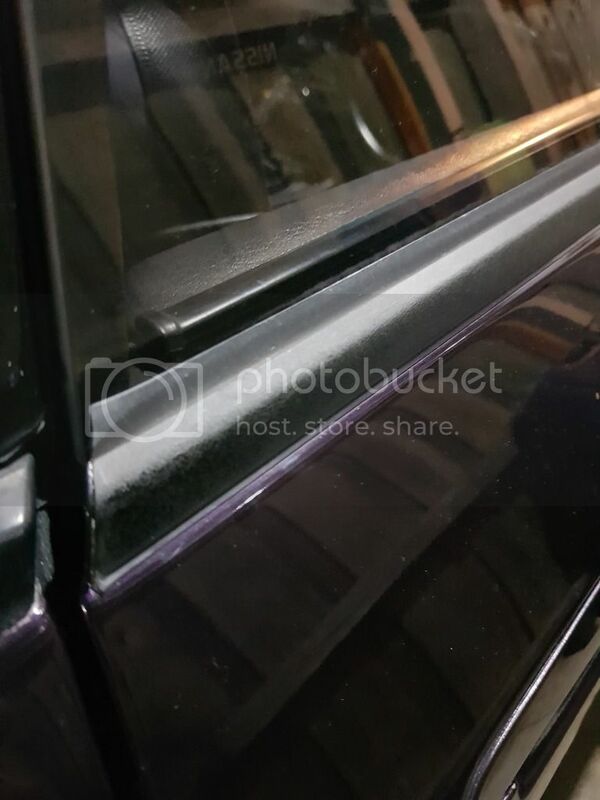 This worked on a BMW I have with black metal trims in the same position as your of the lower window trim photos. As far as replacing goes, is the $500 price a local price? If so try overseas, I have just brought in a replacement trim for the rear window on my car as the rubber beside the metal was breaking up. AUS price, $412, US price $175, + $60 shipping (shipping always gets you!!! ), but in the end way cheaper. Last edited by NeilK; 19-05-2018, 11:40 PM. Have you use the Optimum Opti-Lens? Do you know roughly how many coats needs to be done? How many sets it can do? Sorry for late response. The 10cc or 10ml will last a while. I use 1 thin coat, wait 2 to 3 min and buff off with mf tower. I use about 1ml or less per lens (use thin single coat). So that 10 lenses or 5 cars. Prep is key so make sure you take out all yellowing plus buff it clear (hint put lights on to check your work). I use suede lens cloths (from ebay or eye store, the ebay ones are super cheap). Key thing is not to waste too much product on applicator pad, after all you are doing small car senses. After application wait few hs before getting them wet or day or two if you need to wash the car. Enjoy the results.